John Varvatos Dark Rebel Rider is inspired by the world of motorcycles. 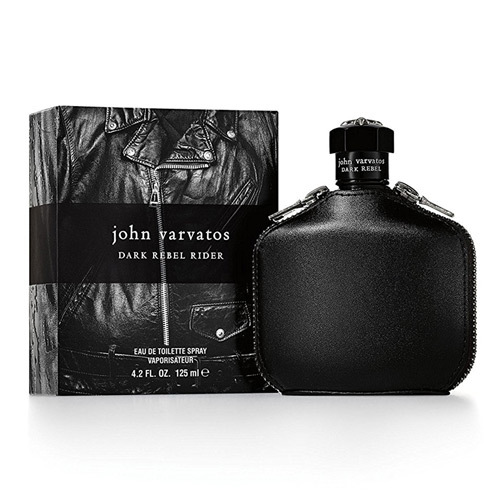 John Varvatos Dark Rebel Rider 125ml. EDT - The brutal and bold nature of modern bikers inspired American fashion designer John Varvatos to create the second in the collection of the fragrance Dark Rebel. The bright and provocative style of this brand gave him world fame and recognition among young people who follow the latest trends. Presented in 2016, the fragrance of John Varvatos Dark Rider Rebel is endowed with a complex and multifaceted composition that reveals the theme of rebellious spirit. The audacious note of bitter orange, refined aldehydes, fragrant, soft saffron, piquant plant shade of marjoram and citron lead an intricate perfume pyramid of perfume. The slightly bitterish accent of the root of the iris, the enchanting osmanthus, the velvety black violet, the luxurious, royal rose, and the heartfelt and deep, warm chord of benzoin, olibanum and balsam tolu smell deliciously in the heart of the fragrance. The basis is represented by a combination of skin odors, seductive cocoa, sensual and coquettish vanilla, manly Atlas cedar, enchanting patchouli and precious wood. Absolutely unique this perfumery water can be considered for three reasons: An unusual note of Osmanthus - a refined tropical flower, exudes a dizzying aroma, enveloping an exhilarating, sweetish cloud. The perfume bottle is finished with leather, and on the box there is a stylish crochet that perfectly complements the memorable image created by the designer. The smell of John Varvatos Dark Rebel Rider is designed to emphasize the masculinity, seriousness and status of his owner, he will be an excellent purchase for a strong-willed and purposeful man who knows his own worth.